Continuing with today's Cirque reviews : Knickerbocker the November Metropolis shade! "An ode to the city that never sleeps; the center of the universe; the metropolis. We are excited to introduce a range of creme-finished lacquers to our core lineup through a monthly release series called The Metropolis Collection." Knickerbocker is a dark chocolate creme. 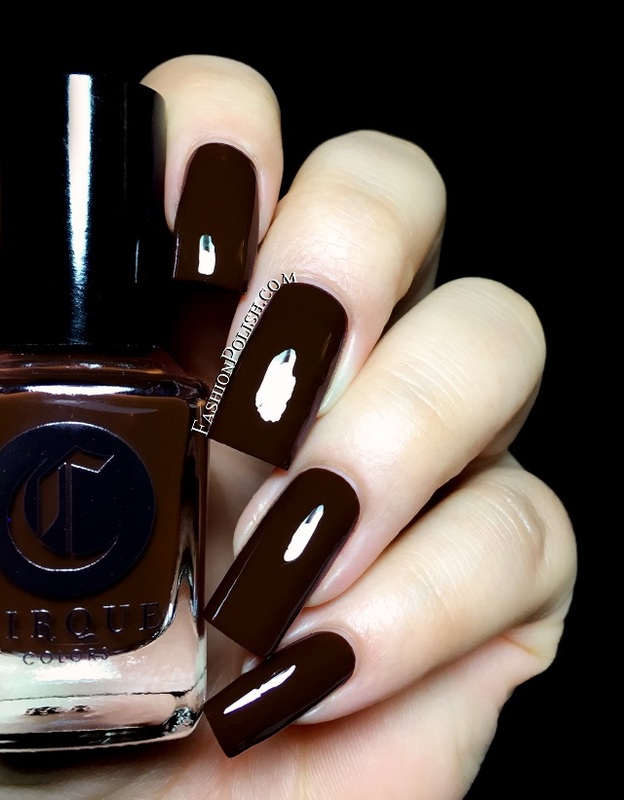 Brown has been hot this Fall so if you haven't found your favorite chocolate creme yet, you'll probably love this one : smooth, self leveling, rich and glossy! I used 2 coats for complete coverage below. Knickerbocker is already available on cirquecolors.com and retails for $13. For a list of international Cirque stockists, please refer to this list.